Phone got wet? Or did you trip and break the screen? 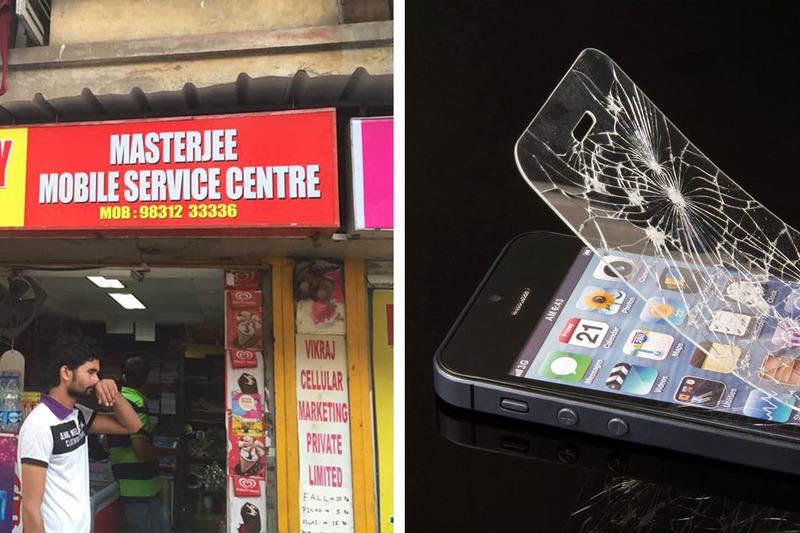 Masterjee is the one-stop for all your mobile (and laptop) repair woes. Masterjee in Bhowanipore has been the one place customers continually head to when in need of any kind of mobile or laptop repair, be it small or big. At this unassuming store, I have seen mobile screens here that were so shattered I wanted to know the stories behind how it happened, and laptops that apparently just won’t turn on, no matter what their owners do, or where they go. They repair broken screens, software issues, my-phone-fell-in-water or my-sister-spilled-water-on-my-laptop problems – legit everything. You can trust them to find the solution for almost every single one of your problems when it comes to your dear electronics. Their prices are not the lowest, but are reasonable for the quality repair work. Trust me, I have been conned at so many places around the city who offer to repair phones at low prices but have just replaced those phone parts with other cheap, third-grade alternatives. They give you all kinds of options you can choose from. You can ask for lower-quality options that are available for significantly lower prices, or you can be determined to get original parts. Masterjee has them all. The prices obviously see-saw depending upon the problems you take here and your different phone or laptop models. They also have an awesomesauce collections of phone and laptop accessories. So, if you’re looking for that perfect pop-socket, or that gorgeous cover, you might definitely find it here! Oh, and a little birdie told us they also have memory space increasing options for your iPhones.